The US Securities and Exchange Commission removed its ban today on “general solicitation”, and AngelList has jumped right in to allow startups to publicly share when they’re looking for investments. AngelList has also announced some funding of its own today, having raised $24 million led by Atlas Venture and Google Ventures with a reported valuation of $150 million. The crowdfunding site is also moving forward with the Syndicate and Backer programs that it has been testing. Syndicates allow an investor to commit to funding a company and then bring on co-investors to participate, effectively creating a mini-VC fund. Backers sign on to invest in future Syndicate deals from a specific investor. 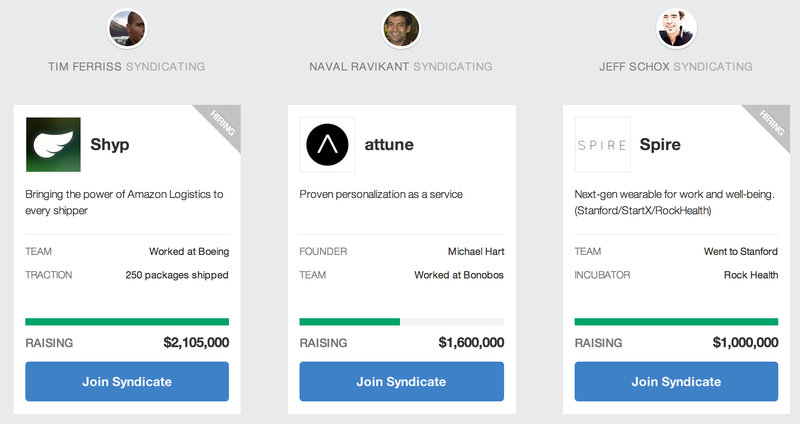 AngelList currently lists 12 syndicates from investors including Tim Ferriss, Betaworks and Ted Serbinski. Public fundraising should make it easier for startups to find investors, but it also introduces several complications. AngelList founder Naval Ravikant previously spoke out about the SEC’s stringent requirements that could potentially see startups banned from raising money for a year if they make mistakes while soliciting funds.